Christmas stockings take center stage on any mantle piece. Families gather around, exchange stories, share presents, and create many memories and traditions. 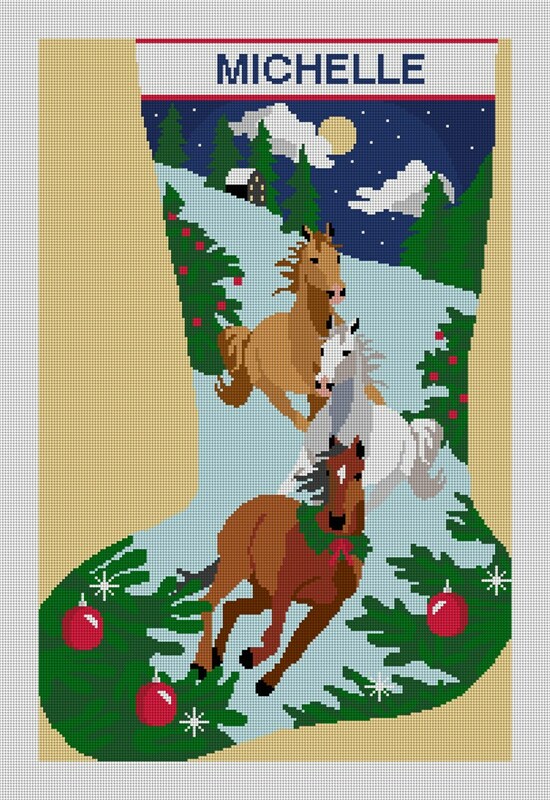 We have designed the perfect Christmas stocking canvas for you to stitch, for the absolutely, undeniably horse-crazy member of your family. Create your own family traditions, with a personalized handmade stocking; it will bring years of joy to your holiday celebrations.